When gamers start dropping titans on the Xbox One starting on March 11, they’ll be able to share it live on Twitch. 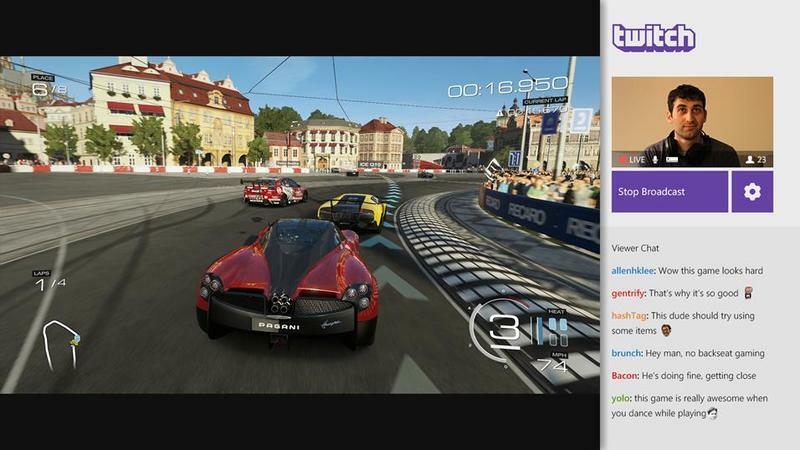 Part of what took so long is that while the PlayStation 4’s Twitch app was built by Sony, Twitch built its own Xbox One software, according to Shear. The PlayStation 4 Twitch app only allows PlayStation 4 users to watch other PS4s and doesn’t allow broadcasters and viewers to easily connect, he says. 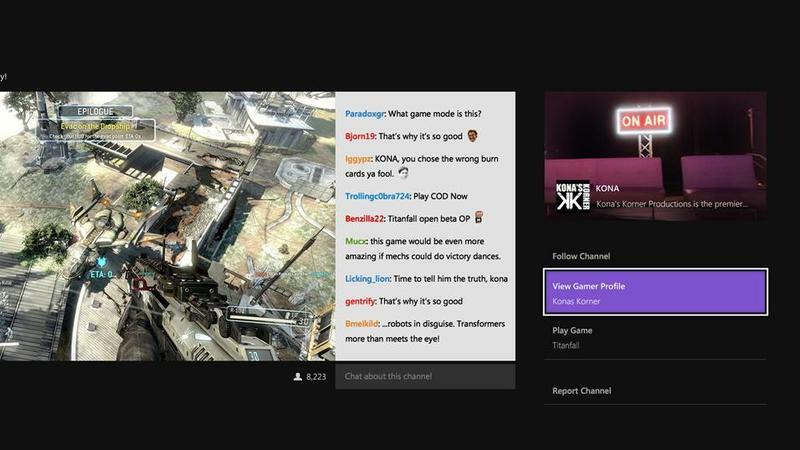 The app also includes Twitch’s chat features and the ability to do picture-in-picture inclusion of the broadcaster within the broadcast. For us, we thought that was too limiting for what our fans would want. Our fans really want the full next-gen service, so that’s why we decided to take our time, do it right and have it come out in this fashion,” says Yusuf Medhi, Xbox Vice President of Strategy and Marketing. While Microsoft is certainly late to the party, the timing and level of integration both seem well thought out. Launching streaming alongside the first big exclusive title is a smart move. 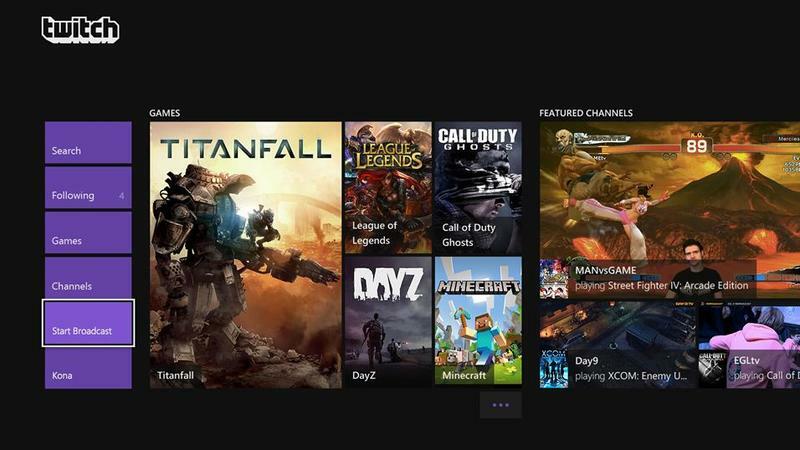 Come March 11, Twitch is going to be absolutely flooded with Titanfall streams. The deeper level of integration, including archiving of streams, will give Xbox One users a deeper level of access to the Twitch service. This is also what I consider the first killer app for Kinect. It’s not that PC and PlayStation 4 gamers can’t include themselves in streams, so much as that every Xbox One owner can do it if they want, and they can do it with voice commands to boot. It’s finally a genuinely good reason for some Xbox One owners to keep a camera plugged into their system. Last week’s beta already has us excited for Titanfall, and we’re looking forward to streaming it here as soon as possible.